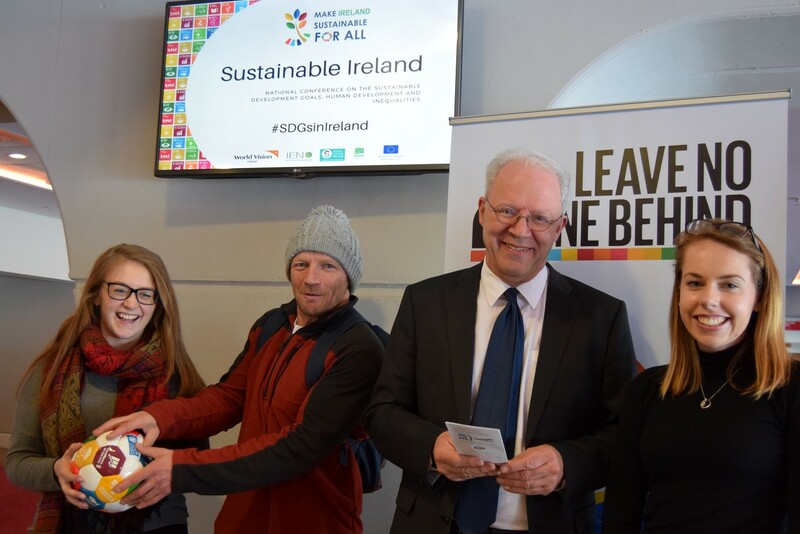 The United Nations 2030 Agenda contain 17 Sustainable Development Goals (SDGs), which Ireland signed up to in 2016. These goals tackle issues relating to poverty, gender, the environment, and much more. Within this document, signed by 193 countries in total, there contains a promise to ‘Leave No One Behind’. Governments agreed to delivered the Goals and ensure that every country, group and individual benefits equally from the progress and realisation of the goals. No Goals will be considered to have been met unless it is met by everyone. This means putting the needs and interests of the furthest behind first. We want to start a Conversation about the SDGs and to discuss what the Leave No One Behind Promise means to you. We are organising Conversation workshops for schools, youth groups, community organisations and anyone else that is interested in getting involved. We hope to put together a Leave No One Behind: Walking the Talk video and handbook that will include contributions from those who participate in the project. The Conference in its entirety will run from 9:30am to 4:30pm on Tuesday, April 17th. However, the ‘Leave No One Behind’ Conversation Series specifically will be launched by David Donoghue, the Project Patron, at 1:30pm, shortly before the lunchtime break. We will also be present with a stand at the conference with additional material relating to the Conversation Series available there. Next PostNext Watch our launch video!